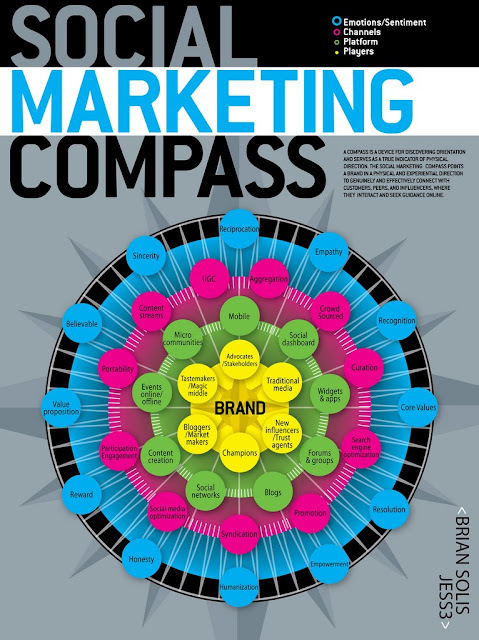 Today I have browsed to Brian Solis Blog and found great stuff that would like to share to you, it is Social Marketing Compass, serving as value system when defining marketing program activities. It points a brand in a physical and experiential direction to genuinely and effectively connect with customers, peers, and influencers, where they interact and seek guidance online. Brian Solis is one of globally recognized as one of most prominent thought leaders and published authors in new media. I really like what he thought about this social marketing!. Great job!